Hostas are a great shade plant that provide great colour, shape and texture in your garden. They’re perfect for those shady spots in your garden, but with enough water, they’ll take some sunshine as well. Hostas originally came from Japan, China, and Korea. They were first introduced to Europe in the late 1700s and then came to North America in the middle 1800s. 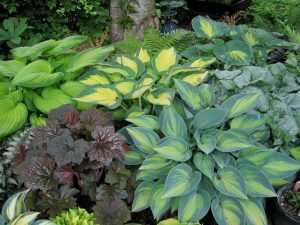 Hostas are hardy herbaceous perennials that are easy to grow, shade-tolerant plants. They do flower, but they are best known for their showy leaves that come in a wide range of shapes, colors, sizes, and textures and may be solid in color or variegated in different combinations of blue, green, white, and gold. If you like diversity, this is the plant for you! There’s an estimated 2,500 different cultivars. If you’re looking for some companion plants to plant alongside your hostas try early blooming bulbs and perennials such as snowdrops, crocus, tulips, daffodils, anemones, and forget-me-nots. In summer months, bright annuals such as impatiens, begonia, and coleus make attractive companion plants. 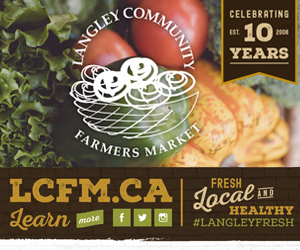 The really good news: they are low maintenance and are widely available at most of our BC Farm Fresh garden centers.